Before chiefs taught me a thing or two or two thousand, i was a very, very green ensign. 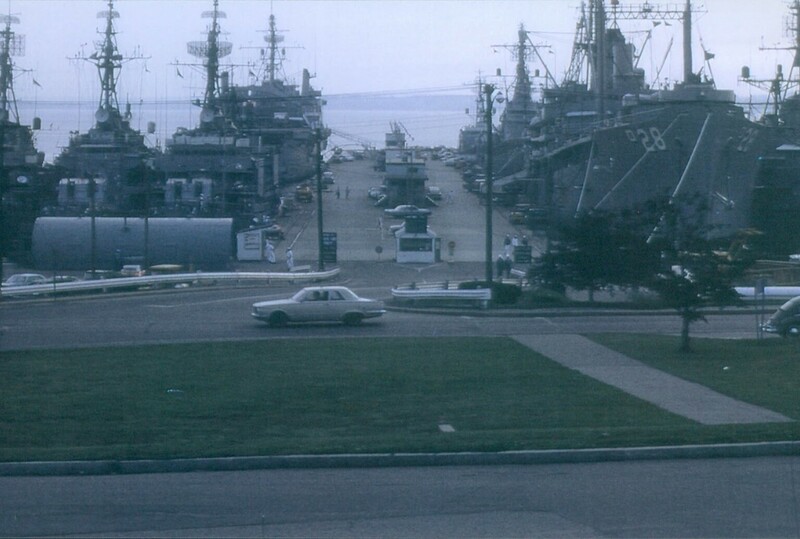 Destroyer-Submarine Piers in Newport, Rhode Island where i learned about the paint locker, circa 1968. Photo provided by RD2 Norm O’Neal. Thanks, Norm. As an ensign, i stood duty in three sections. The qualifications for standing the OOD, Officer Of the Deck, watch in port, was not too stringent. You had to be a junior officer, chief, or very good first class petty officer. And breathe. i would add “chew gum” but that was deemed inappropriate on the good ship Hawkins or any other Navy ship at the time. i may have stood an under-instruction watch, but i don’t remember it. i don’t remember standing many of those earlier watches, not even the first dog one particular duty day in the summer of 1968. But i most definitely remember the next watch. It was the mid-watch. About half-way through around 0200, a third-class petty officer came back from liberty. He was lit. After saluting, he began to rant and rave and chewing me out in particular. i was not quite sure what to do. My petty officer of the watch (POOW) recognized my dilemma and called the duty Master-at-Arms. As i was trying to tell the boozy sailor he was on report, the master-at-arms showed up on the quarterdeck. He was a first class gunner’s mate. Unfortunately, as it is in many of my recollections, i don’t remember his name. i do remember he looked like an NFL tight end. He wore his chambray shirt sleeves folded up above his elbows to show up his rather impressive biceps, even with a couple of tattoos disguising the ripples. 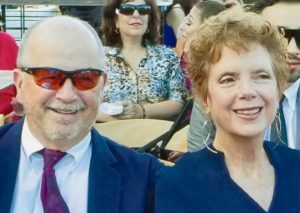 He had a tight crew cut under his dixie cup (“hat” for land lubbers), which of course, was pushed back from his forehead. A Pell Mell dangled from his lips. The paint locker was part of the boatswain’s locker on a Gearing-class destroyer. It was all the way forward on the first platform (a partial deck below the main deck), small and dark. i did not know it at the time, but it was also the location of some non-NJP discipline. When i asked the POOW why the master-at-arms was taking the drunken sailor to the paint locker, he just said, “To help sober him up,” and then he chuckled. i learned the next morning at quarters what the POOW really meant. The sailor who had been “sobered up” passed me as we headed for our different division musters. He looked not quite like he had been put through a meat grinder, but it was close. His face was black and blue and one eye was swollen. i don’t think he ever gave an OOD any trouble after that. The master-at-arms had applied some discipline. Back then, that wasn’t such a bad thing. Today, all hell would have broken loose and all of us would have been plastered all over the major networks for being slightly cross-threaded with political correctness. But this type of justice kept a lot of sailors from going to captain’s mast or worse, and it straightened many of them right up. It probably wouldn’t work today: too many sea lawyers. Good story, I’m sure this happened to a lot of us as green ensigns. Yes…remember a similar incident. Those were different times. I have mixed feelings about letting the toughest mutha in the valley maintain good order and discipline. My experience was that “tough” guys were not necessarily fair nor on the side of the leadership. Fear can keep people from doing wrong things but it can also keep them from showing initiative. Sorry to digress!